What is the purpose of the Grosvenor chair? 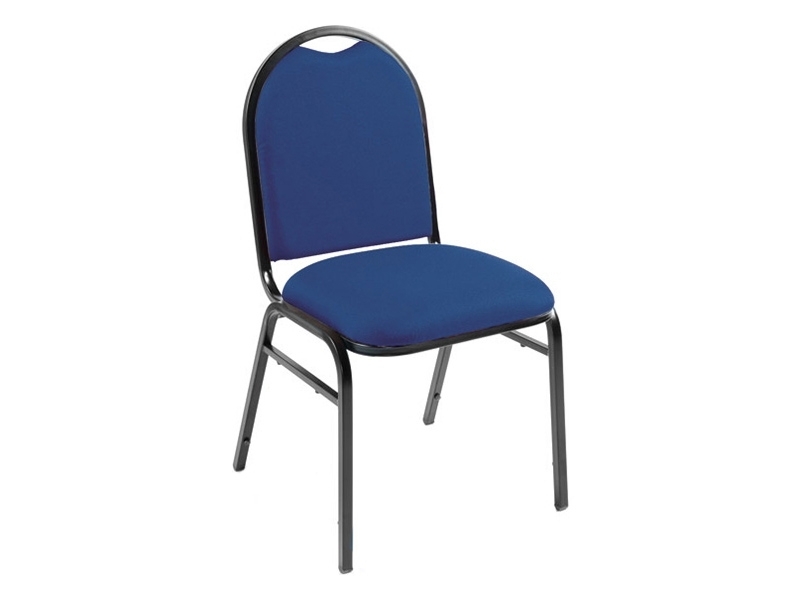 This versatile public event chair has minimalist, modern lines and can give long service in high traffic and heavy use environments because of the durable components and especially strong construction. The 1.5mm tubular steel frame is extremely strong and also lightweight. It is powder coated for a fine, rust-resistant finish. The feet are plugged with molded plastic, allowing the chair to slide smoothly on hard floors. 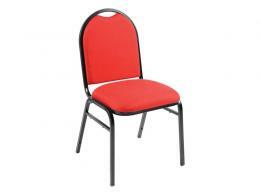 The chair is available in either a red or blue cloth upholstery that is tear and stain resistant. The cloth upholstery is textured to conceal spills and can be steam-cleaned to remove deep stains and food spills. There is a cross-support between the legs for additional stability and strength. The seat back has an opening at the top that serves as a handle to allow more convenient movement of the chair and adjustment of row alignment. The high density foam on the seat is 60mm thick for extra comfort at long events. These chairs can safely stack up to 8 high. The Grosvenor chair is a classic conference chair, perfect for public events, meetings, concerts, lectures, musical performances and classes of all sorts. 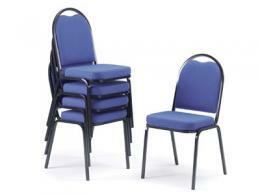 These chairs can also be used at banquet facilities. The stain resistance of the upholstery makes it well-suited for food service venues. 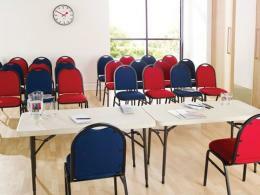 Any attendee at a public meeting, lecture or concert as well as any diner at a large banquet.